Discover how to hear God's voice above all the others. Crash the Chatterbox is for anyone looking to overpower the lies of insecurity, fear, condemnation and discouragement with the promises of God. 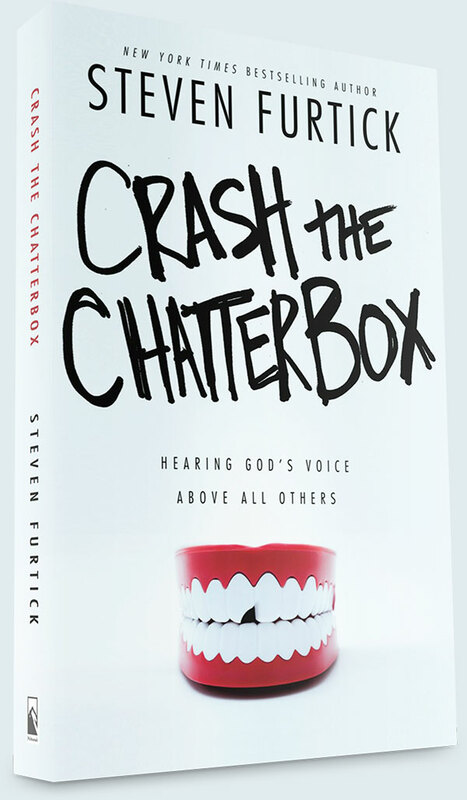 In Crash the Chatterbox, Steven Furtick gives us a how-to guide to actually apply the truth of how God feels about us so we can live empowered lives. On the pages of his brilliant new book, my friend Steven teaches us how to block out the toxic lies of the Enemy and instead let the truth of God become the soundtrack to our lives. Don't let all the chatter get the best of you. Read these pages, and be strengthened in Christ. "I used to think that someone who struggled with the kinds of weaknesses I deal with daily was useless to God. I felt so often like I was drowning in internal dialogue I couldn't control. It had been the soundtrack of my life for as long as I could remember. "Yet everything changed when I began to realize God has given us the ability to choose the dialogue we believe and respond to. And once we learn how, we can switch from lies to truth as deliberately as we can choose the Beatles over Miley Cyrus on satellite radio. "This is the key to pressing ahead and doing God's will anyway, even as you are bombarded with thoughts, feelings, and even facts about why you can't do it. "I'm now awakening to the reality that we can access the power of God's promises to constantly crash the system of our broken beliefs. I'm learning how to overpower the shouts of the Enemy by bending my ear to the whisper of God's supernatural truths about my identity in Him and His strength in me."